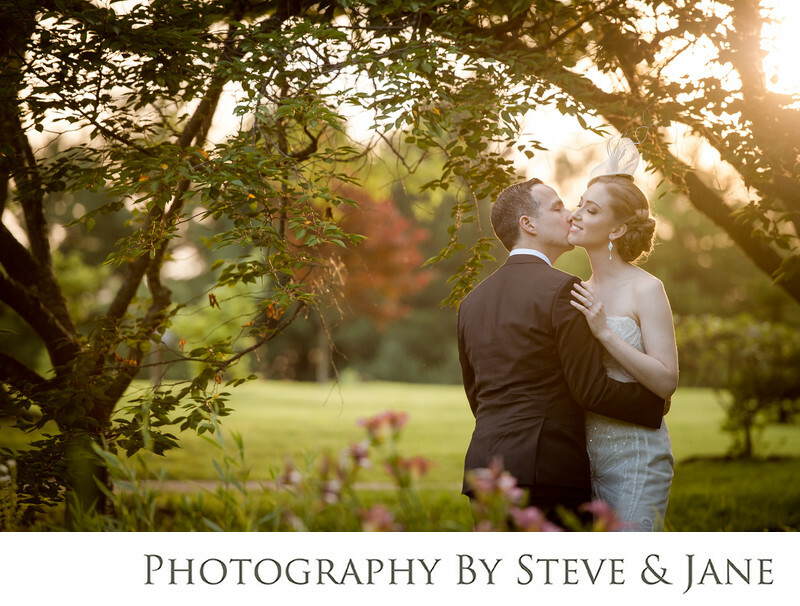 Meadowlark Botanical Gardens in Vienna Virginia is much more than well manicured gardens spread out over many acres not far from Alexandria and Washington D.C., it's also a highly sought after wedding venue. It's glass atrium is not only surrounded by the lush foliage and flowers. It also has an assortment of trees and unique greenery mixed into the reception hall. The floor to ceiling windows allow your guests to enjoy the exceptionally beautiful greenery no matter the weather or time of year. During the winter holiday season, they have host the Winter Walk of Lights. It creates a one of a kind backdrop for your holiday wedding photos. Meadowlark is located near Tysons Corner in Northern Virginia. Tysons Corner and the surrounding area is one of the fastest growing communities in the country. Tech companies and government contracting jobs have brought people from all over the country and world. Upscale shopping and restaurants are conveniently located just off the Capitol Beltway and 267, also known as the Dulles Toll Road. The gardens are also close to Dulles International Airport. Your out of town guests can easily fly in and stay at one of the dozens of hotels like the Ritz Carlton, the Sheraton, or the Marriott. If guests are looking for a last minute gift, Tysons Galleria boasts Tiffany, Neiman Marcus, and Macy's. Location: 9750 Meadowlark Gardens Ct, Vienna, VA 22182.